Henty Building Services - Builder, Painter/Decorator based in Bexhill-on-Sea, East Sussex. 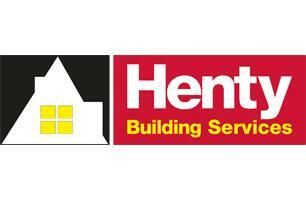 Henty Building Services Ltd is a leading building services company established over 35 years ago. Our reputation is synonymous with the highest standards of craftsmanship, service and quality. As a family run business, we pride ourselves on consistently providing a complete, professional, trustworthy and courteous service. With high quality project management, we ensure that work is undertaken efficiently, with minimum disruption to clients whilst we are on site. We are experts in creating beautiful extensions and loft conversions as well as having vast experience in heritage renovations. Working closely with our clients we act as a single point of contact, providing a smooth running project, delivering professional results to your requirements, ultimately ensuring that the project is delivered on time and within budget. Where necessary we only use carefully selected, bonafide sub contractors who have the same work ethic. We aim to be competitive on pricing and have a proven track record of customer satisfaction, as evidenced by the high levels of referrals and repeat business.